We all had a lot of fun and were well fed! It was a real nail-biter though; the DiRT team thought with just 10 minutes to go that they might win as they were catching the leader. However, the team ended up being overtaken and dropped to 3rd, then in the final five minutes teams that had lost laps due to bought penalties (all for charity of course!) paid to get their lost laps back so they just pulled away and we dropped to 4th. Team DiRT came so very close to a trophy, with just a few seconds between the top places. There were many thrills and spills, some great driving, and some not so great driving by other teams. We all survived with only minor bruising. 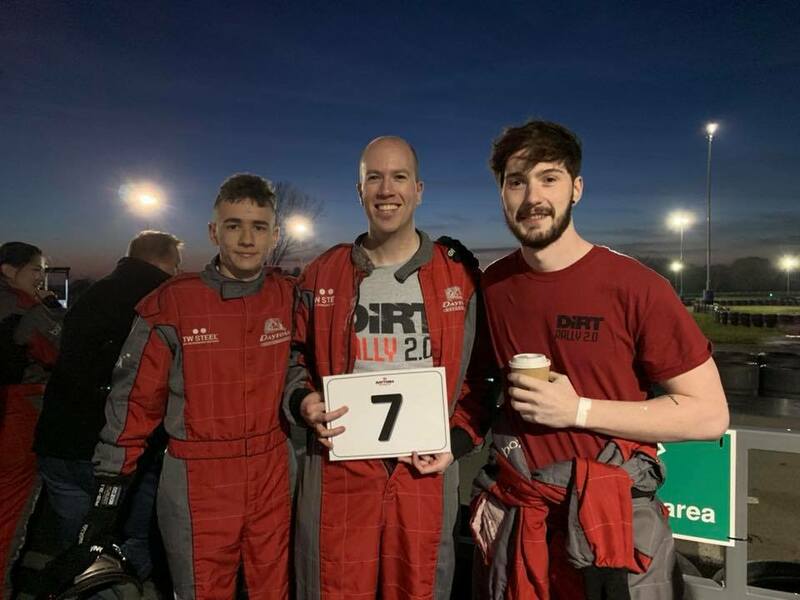 The donated Codemasters prizes well down well in the raffle, and we’re delighted that Special Effect are planning on running the event again around October at Daytona Milton Keynes – we can’t wait!